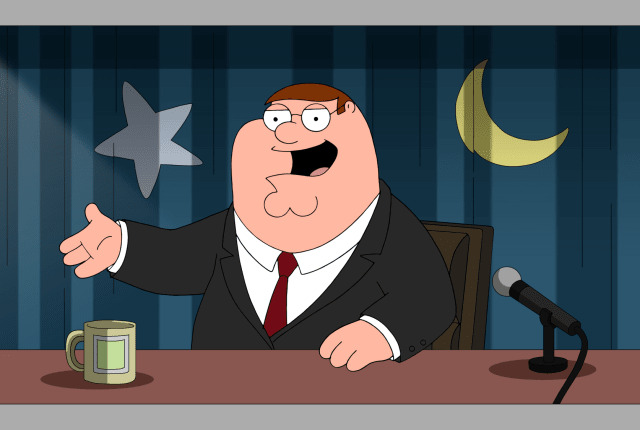 Watch Family Guy Season 16 Episode 18 online via TV Fanatic with over 4 options to watch the Family Guy S16E18 full episode. Affiliates with free and paid streaming include Amazon, iTunes, Vudu, and Hulu Plus. On Family Guy Season 16 Episode 18, Peter adopts the millennial lifestyle in order to help promote the brewery to millennials, and Silicon Valley takes notice. Peter: What happened? All of a sudden I feel I know better than everyone else. Hammer: That's because anytime anyone walks through a cloud of vape smoke, a millennial is born. Permalink: That's because anytime anyone walks through a cloud of vape smoke, a millennial is born. Peter, that's the problem with kids today. They have no attention span. Permalink: Peter, that's the problem with kids today. They have no attention span.